Tottenham are hoping to fend off competition from Arsenal and Manchester United as Mauricio Pochettino plots a big-money triple swoop this summer, according to the Mirror. Pochettino signed a new five-year contract on Thursday after being promised ample funds by chairman Daniel Levy this summer to turn Spurs in to genuine title challengers. The Argentinean boss already has his targets lined-up as the Mirror claim that Pochettino is plotting a triple swoop for Anthony Martial, Fulham star Ryan Sessegnon and Ajax defender Matthijs de Ligt. Martial’s future at Man Utd is in serious doubt as he fell out of favour under Jose Mourinho last season and was left out of the France squad for this summers World Cup finals. It’s led to speculation the French attacker will look for a fresh challenge this summer and it seems Pochettino is ready to offer him a new start in north London. Tottenham could tempt United in to a deal by trying to include Toby Alderweireld as part of any agreement as the Belgian international is expected to leave this summer and has been strongly linked with a move to Old Trafford. Alderweireld’s departure would leave a void at the back and it looks like Pochettino has lined-up de Ligt as the man he wants following his impressive rise through the ranks at Ajax. The 18-year-old has emerged as one of the hottest young centre-backs in Europe and has already captained Holland at senior level so he has a huge future ahead of him. However, Tottenham aren’t the only club in the running as the Sun claims Arsenal are also eyeing the £50m-rated defender so Pochettino faces a battle to get his hands on de Ligt this summer. Tottenham are also expected to be in the market for another left-back as Danny Rose is set to leave and the Mirror suggest that Sessegnon has been identified as the ideal replacement. The 18-year-old is one of the most exciting young talents outside of the Premier League having starred for Fulham over the past two seasons and he was touted as a possible late call-up to the England World Cup squad. Sessegnon provided 15 goals and 6 assists for Fulham last season but the Mirror claim that he’s valued at around £50m while the likes of Man Utd and PSG have also been strongly linked. So it looks like Spurs are gearing-up for an exciting summer but they’ll have to battle the likes of Arsenal and United if they want to pull off a triple swoop for Martial, Sessegnon and De Ligt over the coming months. Spurs & Pochettino are deluded to think they could sign all three players for £100 Million. 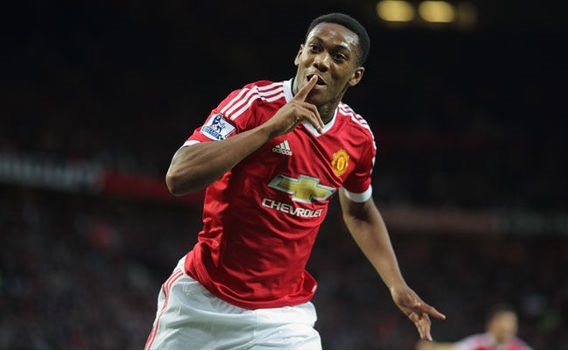 Manchester United will not sell Martial to them as they are a direct opposition. Mourinho is very unpredictable. If I were a Man U fan I would want to keep him, but if they really want Toby then never say never. By the way it’s not Spurs that are deluded, it is the sources of this sort of article who quote figures as if anyone really knows. If you want delusion look at Man U’s recent signings, where the value for money is highly questionable.